Two new exciting castings for Shadowhunters have been announced! 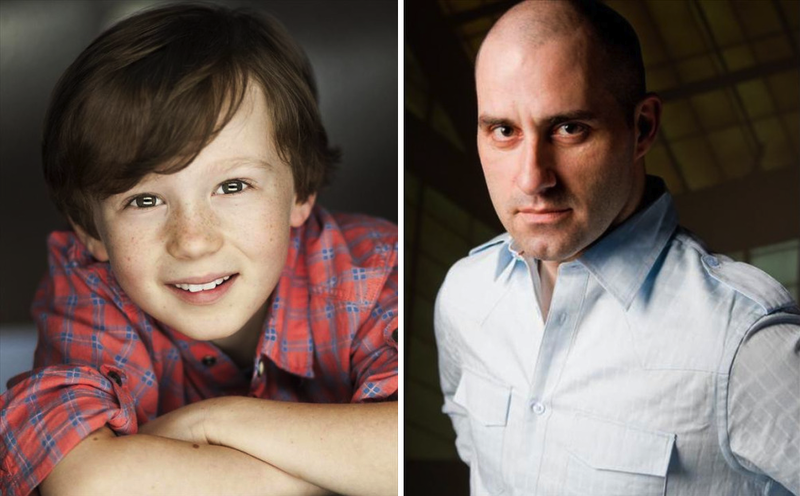 Jack Fulton has been cast as Max Lightwood and Paulino Nunes has been cast as Robert Lightwood in ABC Family’s adaptation of The Mortal Instruments. Several readers, spider senses tingling, have been asking about the casting of Robert and Max Lightwood. Showrunner Ed kindly took some time out of his schedule to shoot over these headshots. Robert will be played by Paulino Nunes, and Max will be played by Jack Fulton. Ed will try to get a stealth shot of them in action behind the scenes. *finger wiggle* I’m interested to see how they’re incorporated into the show! Shadowhunters is currently filming in Toronto and premieres in early 2016 on ABC Family. Jack Fulton looks perfect for Max. Paulino Nunes looks close to bald. Reading TMI, I got the impression that Robert Lightwood had a full head of hair???? I think in the show they are giving more screen time to minor characters (Because they need to add some stuff in order to take up 13 episodes). Robert, Max, and Maryse never came into the books until City of Ashes, so the fact that they are bringing them in early leads me to believe he will have more screen time than in the books. Idk, it would have been nice to have someone that looked like the character in the books, but it isn’t something that’s important to the main plot so I can let it slide. I want to see who they will cast as Sebastian I hope it comes up soon I know he comes up in book 3 but hey we might get to see him soon since it will not be a book per season. I like the serious look about Robert Lightwood! AND MAX!! MAX MAX MAX I will actually sob my eyes out. im sure they will do something so he does have hair, but im also thinging that’s his portfolio picture maybe its not that new. but im very excited about this production!!! OMG!!! I have the same last name as the actor whose playing Robert Lightwood….. FREAKING OUT!!!!!! !